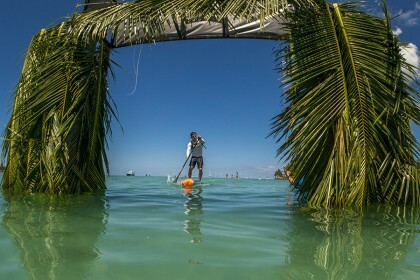 Australia reclaimed the Team Gold Medal and Waikiki-Peru World Team Champion Trophy at the fifth edition of the 2016 Fiji ISA World SUP and Paddleboard Championship. Australia had won the team title at the first three editions of the event after losing to Team USA at the 2015 edition in Sayulita. The Australians put on an excellent, well-rounded team performance. They won a total of ten medals including the Gold Medal in Women’s SUP Surfing (Shakira Westdorp), Men’s SUP Distance Race (Michael Booth), Women’s Prone Technical and Distance Race (Harriet Brown), Men’s Prone Technical Race (Matt Poole) and the Team Relay Bronze Medal. Team France, New Zealand and Hawaii followed far behind Australia by more than 1000 points with the Silver, Bronze and Copper Medals, respectively. “This is the end of a historic week of competition as SUP was raised to new heights and a new standard set for the sport. The epic waves of Cloudbreak and the pristine waters that run between Fiji’s tropical islands were the ideal locations to display the beauty and excitement of this sport to the world. In the Team Relay Race this morning Hawaii’s Kai Lenny completed an extraordinary come from behind victory as the anchor on the relay. Heading into the last lap, Lenny started off in fourth position well behind the leaders, but quickly made up lost ground. On the final stretch to the finish, he surpassed Australia’s Lincoln Dews and New Zealand’s Marcus Hansen to take the Gold Medal for Team Hawaii. The win awarded Team Hawaii 1000 points, pushing them into a podium position with the Copper Medal. “When I got to that last buoy I realized that I was gaining on the guys up front,” said Lenny. “I knew on the final upwind stretch that I needed to attack. Aiding Team Hawaii’s Gold Medal relay was 15-year-old Annie Reickhert, the youngest athlete competing in the race. Reickhert held her own and played a key role in Hawaii’s Gold Medal performance. 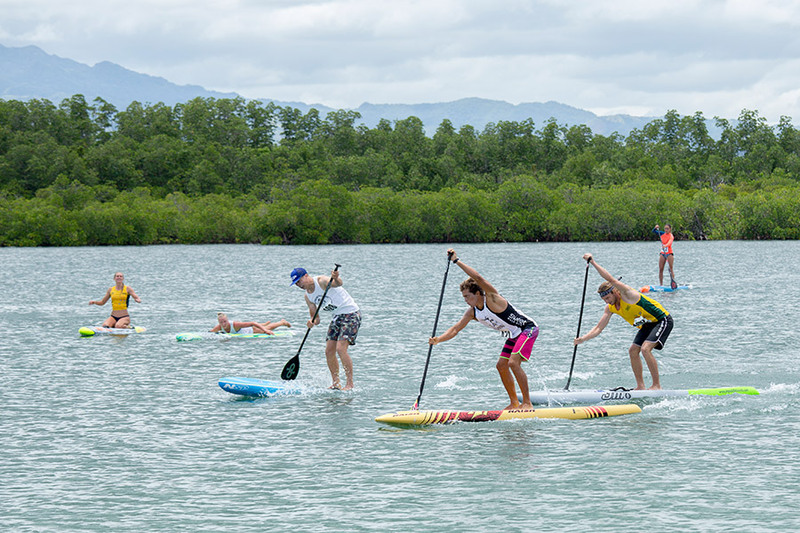 Following the Team Relay Race was the exhilarating 200m SUP Sprint Race. The race did not count for team points, but the world’s best SUP racers still gave it their all for the pride of representing their nations. 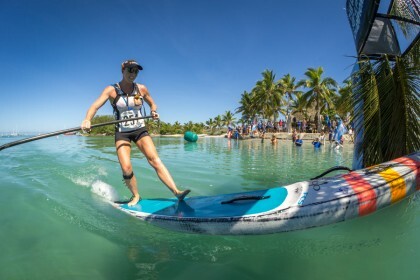 Canada’s Lina Augaitis and Denmark’s Casper Steinfath took the Gold Medals in the Women’s and Men’s Divisions, becoming the first ISA World Champions in the discipline.